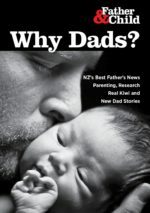 About a dozen fathers responded to Father & Child’s Auckland Regional Coordinator Brendon Smith’s call to form an Auckland committee. The Trust plans to build a viable local branch eventually providing services similar to those available in Christchurch and has received some support from funders for the initiative. The meeting, which was held at Onehunga Community Centre, aimed to be the first step in a strategy that sets goals for the Trust in Auckland over the next year.